I love the pose of Tubman. Who was the artist? In preparation for the opening of the Clinton Library in 2004, a series of sculptures were placed which linked a walkway between the River Market and the Clinton Presidential Park. One of these sculptures is entitled Harriet Tubman. Since she was from the era of President Lincoln, it seems fitting to feature this sculpture on this, Lincoln’s birthday. 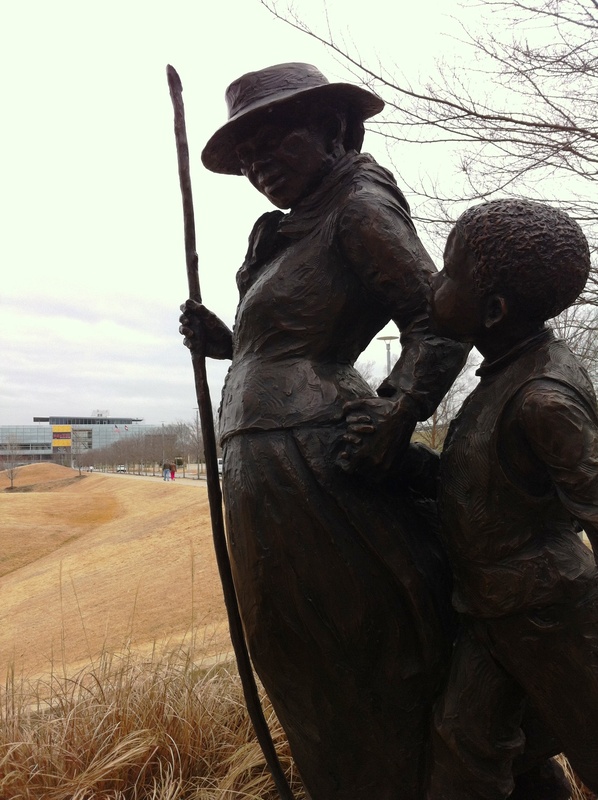 The bronze sculpture, by Jane DeDecker, depicts Miss Tubman grasping the hand of a young boy and leading him on a walk. 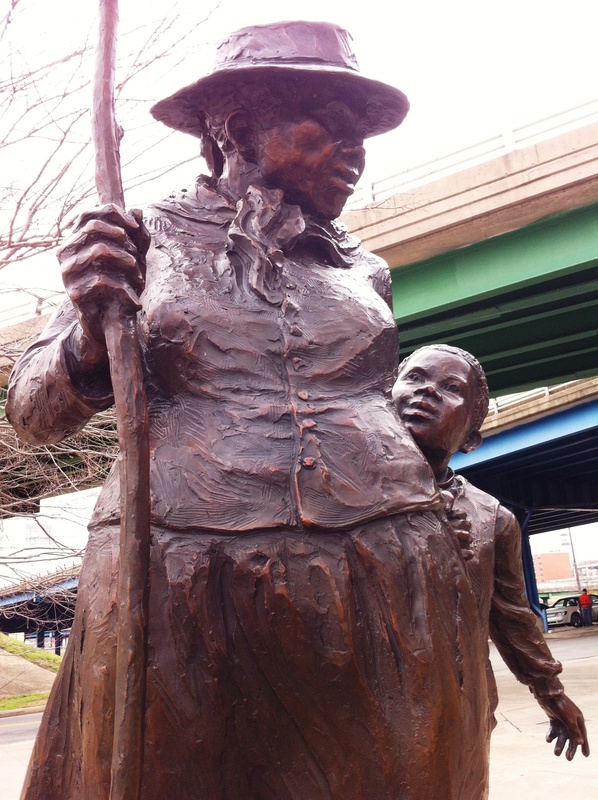 DeDecker captures both compassion and a steely determination in the features of Miss Tubman’s face. The folds of their clothes indicate that they are on a journey. Whether their walk is a part of the Underground Railroad or simply a walk along the path in post-war times is immaterial. Miss Tubman understood that there is always some form of oppression one must struggle against. I love the statue! Thank you for introducing me to Jane DeDecker.